Right now trust in mainstream media, government, business and NGOs is lower than it’s ever been. Organisations have to work extra hard at building trust, loyalty and reputation, and to avoid crises that may cause harm to their operations and reputations. In the past, management would decide on its company culture, inform stakeholders and the public what it stands for and how it does its business, sometimes explicitly stated in a company’s vision and mission. Once done, the company would brand itself in terms of its culture and its products. And we, the public, would believe everything it said. However, over time the public would rate a business on the extent to which its products and actions matched its goals. Too often public perceptions and ratings were ignored, leading to loss of reputational capital, while managers and leaders focused only on the other ‘capital’ – profitability. 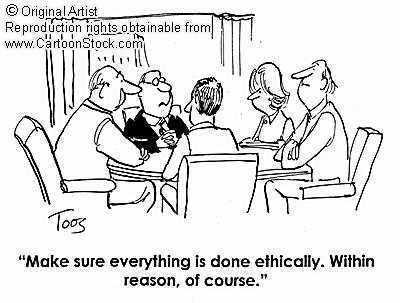 Today, because of the glaring evidence of crises resulting from public reaction to irresponsible leadership, organizations are being forced to act more ethically. The public expects organisations (including government) to keep their promises. Individuals want to trust a business they deal with. Their perceptions of and attitudes towards a company must be positive before they can trust it. And business certainly needs loyal customers and stakeholders. No company can afford to ignore the reactions to their behaviours. They do so at their own peril. Managers and leaders must listen and adapt. 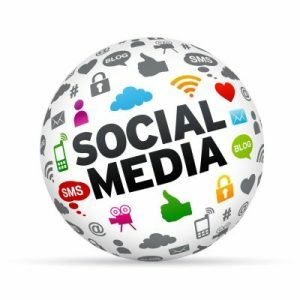 Meanwhile globally, the rise of social media, and the grassroots engagement it affords, has contributed to the growth of people power. Companies are constantly being watched and evaluated by the man in the street who happily shares his perceptions, based on what he sees and hears in the media. These perceptions gain momentum and can lead to mass action, causing negative outcomes for the businesses concerned. There are so many examples of this, but H&M’s recent crisis over an alleged ‘racist’ advert is one. With the growth of public and employee word-of-mouth marketing, research has shown that advocacy statements by activists and ‘influencers’ on social media are far more powerful in terms of engagement and belief than content that comes directly from the brand or company. 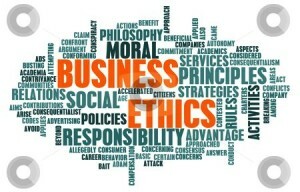 Ethical branding is crucial as companies become aware of the importance of good corporate citizenship, responsible behaviour and transparency in all their dealings with internal and external stakeholders. 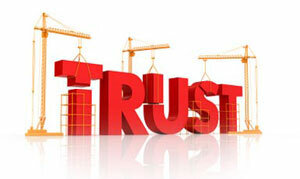 More than ever before, building public trust is crucial to any business operation and its survival. Managers and leaders must ensure that the company performs well economically, ethically, legally, environmentally and socially, that is, as a corporate citizen. The King Report, now in its 4th form, is regarded as the ‘go-to guide’ on corporate governance for large companies. Government and SMMEs too would definitely gain by consulting the document. Basically, it highlights key aspects of creating a corporate environment for the 21st century and beyond where corporate citizenship and responsible leadership are key. Only by focusing on its role in society and behaving with transparency can an organization ensure its reputation and sustainability. This entry was posted in Analysis and Advice, Branding, Business Strategy, Corporate Communication, Education and Training, ethical branding, In the Media, Leadership, Public Relations, Research, Social Conversations, Strategic corporate communication, The Media and politics and tagged activism, advocacy, branding, communications, content engagement, corporate citizenship, Corporate governance, ethical branding, ethical leadership, I-CARE leadership, influencers, King Report, leadership in business, public perceptions, public relations, reputation management, reputational capital, social media, vision, word of mouth marketing on Mar 7, 2018 by Dee. KPMG’s name and reputation remains in crisis and in the headlines. We just can’t stop talking about it. So let’s start learning from it. Having been involved in practising, lecturing and consulting in Corporate Communication, I can’t resist throwing out some of my own thoughts on the matter. For many years now, the King Report has been the go-to document for guidelines on corporate governance, corporate citizenship and responsibility to one’s stakeholders, community, politico-economic and natural environment. Large corporate are obliged to take note and commit to upholding the principles and values contained in the King Report which is constantly being revised to ensure it remains valid, relevant and current. Transformational leadership. It’s simple: know what it means. Know the code of conduct. Know how to motivate and inspire. Know the law but act ethically. Know your people and their feelings. Know the truth. Spread the truth. Reputation management: Every company –small and large – must plan and manage its identity, its values and its behavior in order to manage outcomes and others’ perceptions of it. 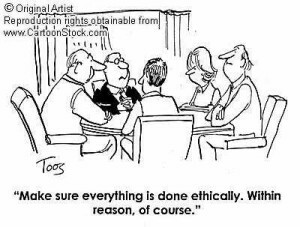 Only through critical strategic discussions with all stakeholders, including the media, can a company develop a strong positive reputation. Crisis management – Plan, prepare, strategise for negative disruptive events that impact your operations and your reputation. Without a crisis plan you’re doomed. Public sharing is vital for a reputable organization to gain support. Don’t apologise unless you mean it and are prepared to pay the price. Corporate culture: Vision, Ethos, Values, Beliefs and Behaviour. Accountability means to take responsibility for one’s decisions and actions and be adaptable to changes in the environment and courageous to stand one’s ground in the midst of potential threats, temptations and challenges. Be purpose- not greed-driven. Finally, companies should strategise for sustainability. Their strategies must translate into best practice – setting standards and acting as examples for conducting ethical business, based on principles and values of trust, integrity, professionalism, not greed, status and power. 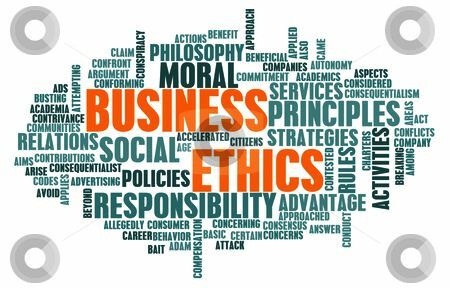 Corporate governance and CSR – is it for REAL? This entry was posted in Analysis and Advice, Business administration, Business Strategy, Corporate Communication, ethical branding, In the Media, Leadership, Media Ethics, Public Relations, Research, Social Conversations, Strategic corporate communication and tagged business ethics, corporate citizenship, Corporate Culture, Corporate governance, Crisis communication, King Report, media, reputation management, State Capture, sustainable business, transformational Leadership, Values-driven business on Sep 28, 2017 by Dee.